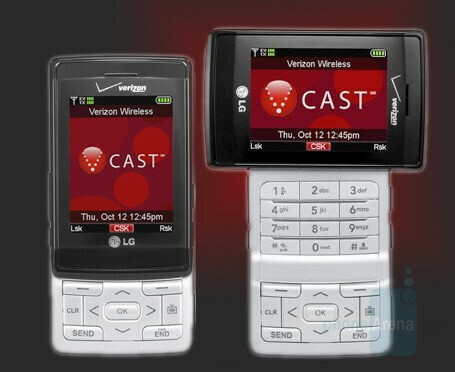 The second V-CAST Mobile TV phone for Verizon was officially launched, as it was expected. After the simple Samsung U620 has been available for a while, the more professional-looking LG VX9400 joins it. The 9400 has interesting design with screen that swivels horizontally for more convenient TV watching, but the drawback is that it should be done if you want to use the numeric keypad, which is otherwise under it. The LG VX9400 features 1.3-megapixel camera, microSD memory card and Bluetooth v 1.2. Verizon Wireless offers the LG VX9400 for $199.99 with 2-year contract and mail-in rebate. It is actually the Third V-CAST Mobile TV phone with Verizon. You forgot to mention the Samsung U740. Your actually wrong the U-740 does not have mobile tv service. There is only two devices with it currently the LG VX9400 and the Samsung U-620. You're An Idiot. The U-740 is Not a TV Phone although it IS Vcast enabled. you're all idiots the vx9400 IS THE BEST.